Paper that’s a bit lighter weight or a bit heavier weight will work great too. Lighter weight paper (such as patterned scrapbooking/crafting paper of various weights) works well for pieces that are not folded, such as decorative panels, although it’s not necessary to use lighter weight paper for them. For example, the decorative panels that are glued onto these projects can be much lighter weight paper, and the “structural base” of the projects uses heavier weight card stock paper which is sturdier. 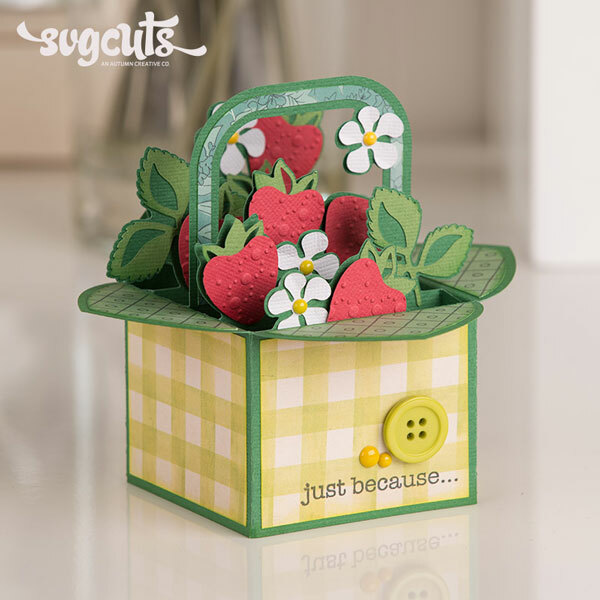 The Strawberry Basket Box Card uses green card stock paper as its "base" and a mix of other solid-color card stock and patterned papers for the decorative panels and elements. 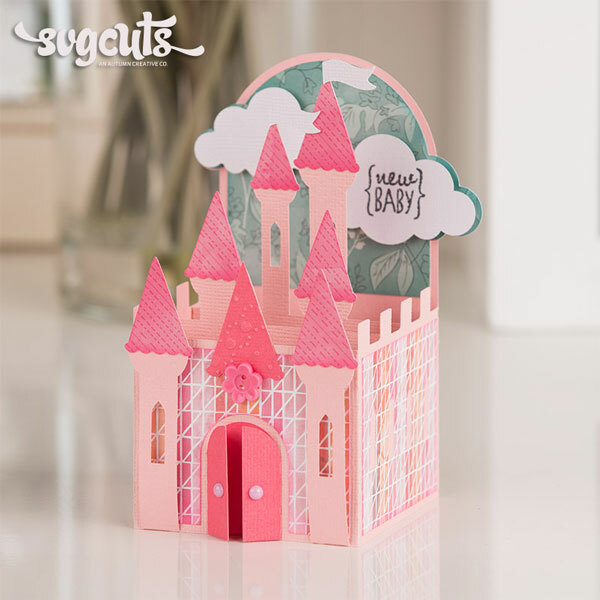 The base of the Princess Castle Box Card is light pink card stock and the doors and clouds are solid-color card stock as well. The decorative panels are cut from various pieces of patterned card stock. The base of the Floral Box Card is lime green and some of the flowers and the little label are solid-color card stock. Some decorative panels are patterned card stock. My personal go-to solid-color card stock paper is the textured card stock by American Crafts (also known as “AC Cardstock.”) I love the “basketweave” texture because it adds a bit of interest to projects, and it also hides any small bits of dried glue or other “imperfections.” These things tend to be more noticeable when using smooth, non-textured card stock. It’s also very easy to cut it precisely with a cutting machine, and it always folds really well, whether you’re using dashed score lines or solid score lines. There seems to be something about the way the paper is made so that its fibers cut very cleanly and it never comes out jagged. It also works really well with adhesive and doesn’t tend to wrinkle when it’s glued together. The Pumpkin Patch Box Card uses a pretty earthtone/neutral palette, including AC Cardstock and patterned papers for some decorative panels. The patterned paper gets a chance to shine when it's kind of "framed" by a solid color. The other thing I love about American Crafts card stock is that it is “solid core.” This means that the color of the paper runs all the way through it so that the edges of your cut-outs look nice. Some other brands of solid-color card stock paper have a “white core” and when the edges of your cutouts are all white, it can look a little less polished. You can get AC Cardstock in packs of several colors (my favorites are Neutrals and Earthtones) and you can also get it by-the-sheet or in packages of 25 of the same color. I tend to use Ivory and Black the most. Bazzil Basics (canvas texture) paper also cuts well for me, although I haven’t used it as much as the AC Cardstock. P.S. 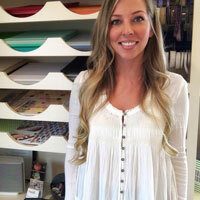 Check out some of the great tips and feedback from our Facebook Fans!